For most Americans, barbecue season begins on Memorial Day and unofficially nears its end around Labor Day. Here in Louisiana, we keep our pits out all the way through football season, but then again, it never really gets cold. Serious ‘que lovers crave more than just a few summer months to keep the coals hot, so many take their love of slow-cooked meats on the road and enter the competitive barbecue circuit. Although it may sound like a weekend full of manly talk and beer drinking, competitive barbecue requires weeks of preparation, quite a few bucks, and an almost religious dedication to cooking the perfect piece of meat. If done right, there’s potential to walk away with serious amounts of cash along with barbecue fame and glory. Competitions like Memphis in May, the International Bar-B-Q Festival in Owensboro, Kentucky, the Big Pig Jig in Georgia, and the Lexington Barbecue Festival in North Carolina all bring out the fiercest of pit masters. Like all sports, competitive barbecue takes practice and dedication, but the field is open to anyone willing to bring the heat. 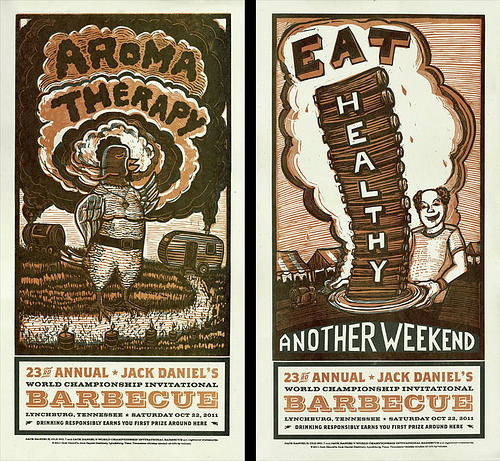 According to the Kansas City Barbeque Society, the best way for someone to work their way into the competitive barbecue circuit is to go to competitions as an observer. Formed in 1986, KCBS contains over 1,400 members and hosts over 400 barbecue competitions each year from coast to coast, including The American Royal Open and Jack Daniel’s World Championship Invitational Barbecue, otherwise known as “The Jack.” Held in Lynchburg, Tennessee, The Jack is one of the culminating events of the year for barbecue competitors. Getting invited to compete at The Jack requires a win at a state or national level. While it may not be part of a first-time competitor’s circuit, checking out the biggest barbecue events of the year is a good way to pick up tips from the best of the best and get a better understanding of the game. A good place to begin your competitive career is in a smaller competition near home. Competing in a small competition is a great way for first-timers to learn the ropes and get attention and feedback from the KCBS crew. My first competitive barbecue experience came at the Smokin’ Blues and BBQ Festival in Hammond, Louisiana. There, with a small team, I competed in a field of 50 professional division teams. KBCS rules require teams competing for the grand prize to enter all four meat categories: brisket, pork shoulder, pork ribs, and chicken. Each requires different marinades, unique rubs, and precision on timing and temperatures. All four must be turned in on time with enough portions to feed the certified judges. 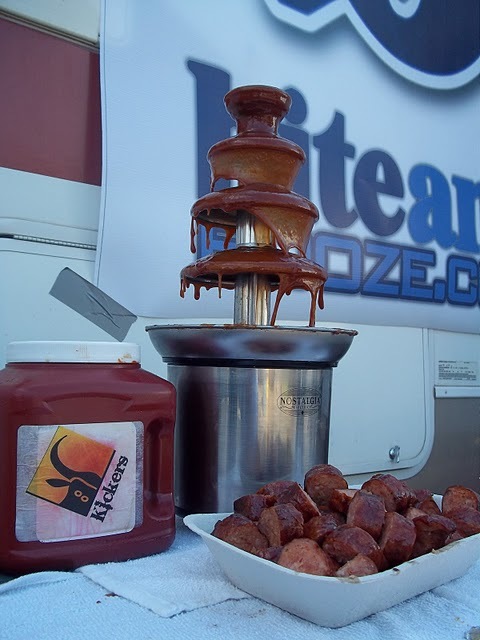 No matter how big the setup or how much money is spent beforehand, any veteran barbecue competitor will tell you that the key to success is knowing what the judges want. The best way to learn is to judge a competition yourself. 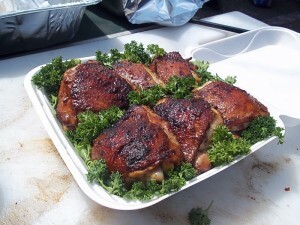 The KCBS has their own set of rules and offers judging classes. Learning the guidelines of the KCBS is the best way to improve your barbecue while gaining more insight into what the judges are looking for at competitions. In addition to the KCBS, the IBCA (International Barbeque Cookers Association) also has its own set of rules that are a little more lax for novice competitors. The categories can be slightly more open, and the judges can be amateurs. Still, only the best barbecue will win! Anyone who has ever barbecued before knows that time is of the utmost importance. Even though it’s slow cooking, first-time competitors should allow themselves plenty of extra time for setup or potential problems. The actual competition usually takes place on a Saturday, but require a weekend full of prepping, marinating, and smoking while sometimes getting little sleep. It may seem like a lot of work for what most people consider a weekend hobby, but at many of these competitions, there’s thousands of dollars in prize money on the line. In 2006, the team Lotta Bull BBQ set a record with nearly $200,000 in winnings. Potential winnings and publicity opportunities allow many of these weekend warriors to leave their day jobs and commit full-time to the barbecue circuit. However, in order to reap the rewards there is some investment required. Many competitions require an entry fee of at least $100 and often $250 or more, in addition to travel expenses, ingredients, and equipment. While they may not possess the physical attributes of other athletes, members of competitive barbecue tour take their skill very seriously and consider it a way of life. Many have been competing against each other for years and consider the friendships they’ve made much more valuable than any prize. Spending multiple weekends out of the year in a barbecue commune is an interesting way to meet people who share your passion for barbecue while getting sideline advice from the pros. Barbecue competitions are festivals of smoked meats and great people, so whether you’d like to test your pit skills or just chow on some good ‘Que, look up a local competition and get after it!